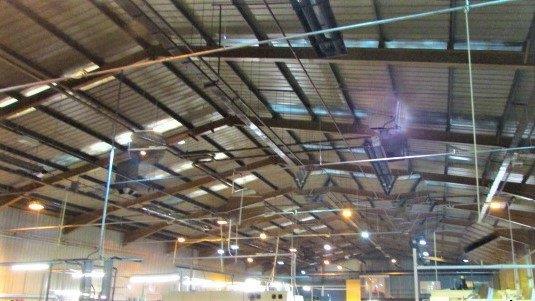 Radiant Heating is ideal for spot or localised heating mounted overhead, working in the same way as the sun, radiant heat warms all solid objects and surfaces in its path through infrared waves. Radiant Heating works by heating Objects and People rather than heating the air space around them (Please take a look at Warm Air Heating for Air Space Heating). 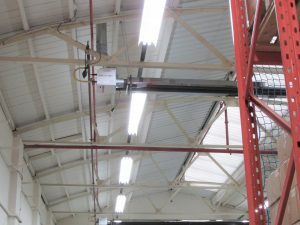 Radiant heaters produce infrared heat that is directed downwards to low level by a reflector. Infrared energy passes through the air and dissipates as heat when it comes into contact with people and surfaces creating a comfortable, all-round radiant heat. Radiant heat takes only minutes to reach comfortable temperatures, so energy is never wasted in waiting for the heater to warm up. Radiant Heating is regulated by the use of black bulb sensors and control units, allowing you to set the temperature you need in a specific area. 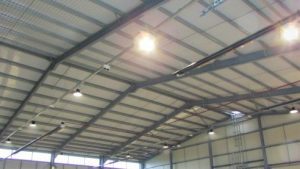 These systems are designed to provide uniform heat coverage over an entire floor area.It can also heat different zones providing a varied levels of warmth within the overall layout of the building. Herringbone systems are specifically designed to suit individual building requirements; they can incorporate up to 10 ‘U’ tube or linear heaters on one exhaust manifold. The exhaust manifold may be terminated through the wall terminal. Minimal risk of water ingress – combustion products to be expelled via a single exit from the building.